As a sector that imports and exports both goods and services, transports people across borders and possesses Britain’s only physical link to mainland Europe, getting Brexit right for the rail industry will also be a barometer of success for the overall deal. EURACTIV looks forward to welcoming you to this workshop to discuss the future of the rail sector in the EU. - How will Brexit affect the EU27 firms’ ability to penetrate the British market, and vice versa, and what will be the effect on rail supply-chains? 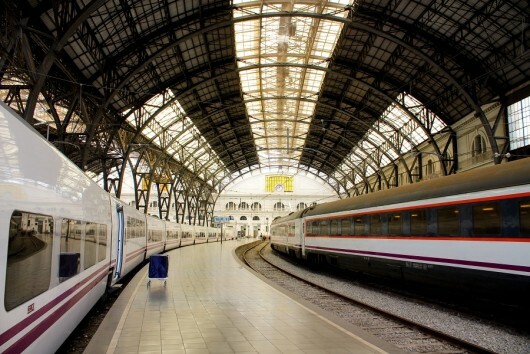 - What are the consequences of Britain leaving the European Union Agency for Railways? - How will Brexit affect the flow of people and freight through the Channel Tunnel? - How will the likely changes in customs procedures for entering the post-Brexit UK affect the rail supply chain and operations on both sides of the border? - Will EU27 workers be able to work in the post-Brexit UK, and will British workers be able to work on the Continent? - What role will Technical Specifications for Interoperability have in post-Brexit Britain and how should they be applied? - Are there any benefits for the EU-27 or UK post-Brexit? Read here an article summarising the discussion of the event.